2011 NHL All-Star Fantasy Draft highlights exciting new format for 2011 All-Star weekend. New York/Toronto (November 10, 2010) – There will be a new look to the events of the 2011 NHL All-Star Weekend, the National Hockey League (NHL®) and the National Hockey League Players’ Association (NHLPA) announced today. The conference vs. conference format will be replaced by a player draft, conducted by the All-Star players themselves, to determine the composition of the teams for the 2011 NHL All-Star Game presented by Discover as well as the Honda NHL SuperSkills®. "The goal of the All-Star format change was designed to make the game more fun for everyone involved. By giving the players more input on team selection, as well as Skills Competition match-ups, we feel the 2011 NHL All-Star Fantasy Draft will inject more excitement and intrigue into all the events surrounding All-Star weekend,” said Brendan Shanahan, Vice President Hockey and Business Development for the NHL. · Fans will continue to play the lead role in the selection of All-Stars when 2011 NHL All-Star Fan Balloting presented by XM launches on Monday, Nov. 15. The All-Star Balloting process, which is entirely digital for the fourth consecutive game, runs through Jan. 3. · From a group of 100 players on the ballot, fans will vote for their top six All-Stars by position without regard to the Conference in which the player plays. Fans will also have the ability to write-in a player of their choice. · The three forwards, two defensemen and one goalie receiving the most votes will be named the first NHL All-Stars. · The remaining 36 All-Stars will be named by the NHL Hockey Operations Department for a total of 42 All-Star players (3 goalies, 6 defensemen and 12 forwards per team). · Following the selection of the All-Stars, NHL Hockey Operations will designate 12 NHL rookies to participate in the Honda NHL SuperSkills on Saturday, January 29 for a total of 54 NHL players taking part in All-Star weekend. · After the 42 NHL All-Stars have been selected, two captains will be chosen per team by the players. · On Friday, January 28, 2011, a draft event will be held in Raleigh with all 54 NHL players (42 All-Stars and 12 rookies) during which the captains will draft the remaining members of their respective teams. · First selection in the draft will be determined by coin flip and selections will continue on an alternating basis. · Each team will be required to select three goalies, six defensemen and 12 forwards in any order they choose. · After the selection of the All-Star game rosters, the captains will select among the 12 rookies to fill out the rosters for the Honda NHL SuperSkills. · Each team will feature six rookies participating in various skills competitions. · Teams will participate in six different skills, including NHL Fastest Skater, NHL Breakaway Challenge, Accuracy Shooting, Skills Challenge Relay, NHL Hardest Shot and the NHL Elimination Shoot Out. Further information on the 2011 NHL All-Star Fantasy Draft, will be announced at a later date. The 2011 NHL All-Star Game presented by Discover will mark the first time Carolina has hosted NHL All-Star activities. The League’s mid-season spectacular will take place Saturday, January 29 and Sunday, January 30 and will include Honda NHL SuperSkills and the 58th NHL All-Star Game presented by Discover at RBC Center. Live television coverage of both nights will be provided by VERSUS in the U.S. and CBC and RDS in Canada. The Honda SuperSkills will begin at 7 p.m. ET on Saturday, and the 2011 NHL All-Star Game presented by Discover will start at 4 p.m. ET on Sunday. NHL, the NHL Shield, Stanley Cup and NHL SuperSkills are registered trademarks of the National Hockey League. NHL and NHL team marks are the property of the NHL and its teams. All Rights Reserved. 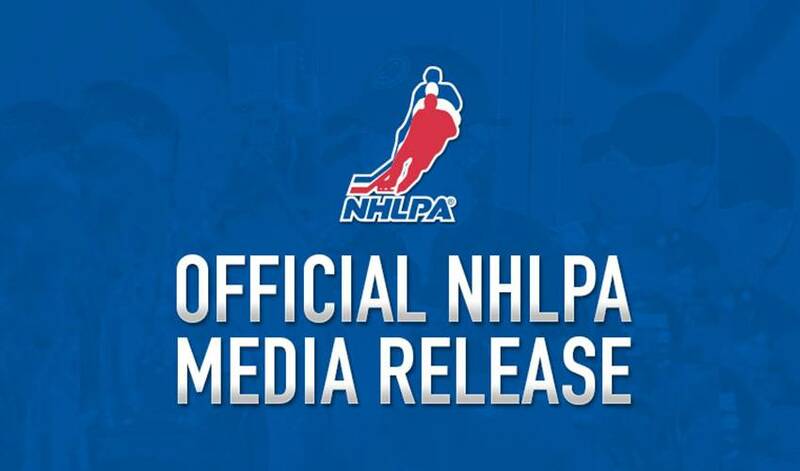 NHLPA is a registered trademark of the National Hockey League Players’ Association. All Rights Reserved.